We are engaged in manufacturing and supplying of Spiral Tanks that are designed using a unique process known as Spiral winding. Our range includes PP square tanks, HDPE rectangular tanks, PP horizontal tanks and HDPE pickling tanks. 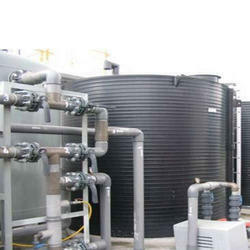 These tanks are manufactured using high grade of raw material, procured from certified vendors. 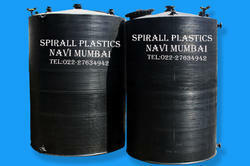 Spiral HDPE Tank offered comes in spiral design finish and is available in 500 Ltrs to 50,000 Ltrs options. We manufacture Spiral Storage Tanks up to all capacity in HDPE & PP. These tanks are specially designed for the high-temperature application. We are manufacture vertical and horizontal tanks Ranging in diameter from 300 mm to 3000 mm (standard Internal diameters 300, 400, 500, 600, 800, 900, 1000, 1200, 1600, 2000, 2400, 3000 mm) with a storage capacity from 0.5 KL to 40 KL. Rectangular and Square tanks also available in a range of sizes.